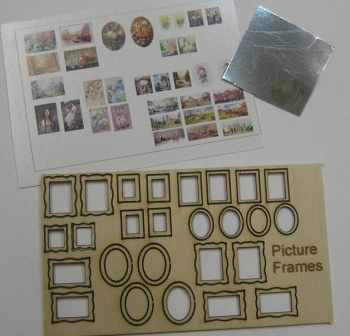 An assortment of laser cut picture or mirror frames for your baby house. A total of 38 in all, various sizes and shapes. May be painted, gilded or stained. Also includes printed artwork, and small piece of chromolux paper for mirrors.